Perhaps the good news is that more than 30 students reported an act of online cruelty to the school principal. The act was by a Clinton High School student who took a video of another boy urinating in a school restroom and posted it on Snapchat, according to a criminal complaint filed Monday in Rock County Court. 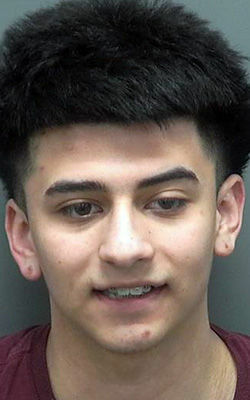 Josue E. Espinoza, 17, of 727 Milwaukee Road, No. 9, Clinton, was charged with capturing an intimate representation without consent, intimidation of a witness and disorderly conduct. The boy depicted in the video has a learning disability, according to the complaint. School officials alerted Clinton police March 19. One witness said she saw Espinoza’s Snapchat video, and then she saw the video decorated with laughing faces, according to the complaint. The principal said the message made school officials and students fearful that Espinoza would act on the threat, according to the complaint. Court Commissioner Larry Barton on Monday released Espinoza on a signature bond, ordered him not to use social media while his case is pending and imposed a curfew from 7 p.m. to 7 a.m.